We engage with the world in all sorts of different ways. We go to work; we spend time with family and with friends. We shop, got to the library or the art gallery and are a part of the community. Philosophy too is about engaging with the world. As members of the U3A we will have done lots of things philosophical, it is just that we may not have thought that we were engaging in philosophy. Remember when the children asked all those endless questions? Why is he getting more than me? Something isn’t fair. Who is God and where does God live? As for ourselves, we appreciate literature, theatre and good wine. We decide who to vote for. We have a view about what sort of society do we want to live in. These (and many more) are issues that we have addressed or will address, and they are philosophical. However, when we engage with philosophy, we must use rational systems of argumentation. When we do this, many of the beliefs that we hold come under scrutiny. As we analyse arguments we try to look for things that we have simply assumed to be the case, and we may find that there are things in what we say that are not actually the case. This can be uncomfortable as cherished notions come under threat. Nevertheless it is the Great Conversation and we should take part in it. Whereas debate seeks to win an argument, often over opinions, philosophical deliberation is a discussion that tries get at the truth. We have to listen carefully to what others say, and be clear about what our own stance is. We try to understand the other person’s viewpoint and look for weaknesses and strengths in their arguments. They do the same for our arguments, and through engaging with others, we try to resolve confusions and gain greater clarity about what we think and why we think it. 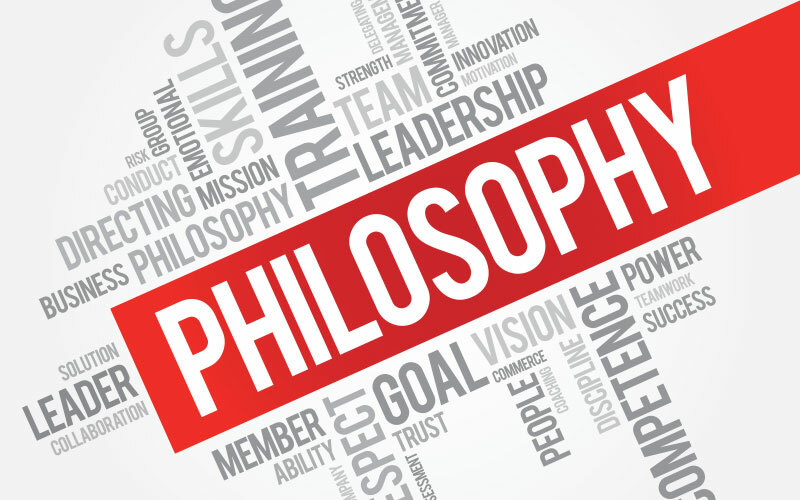 Philosophy gives us the tools to make better decisions; to have a more consistent and coherent approach to life. Through reading past philosophers, we can have a guide to finding meaning in our lives. As we aim to understand what others think, we get a wider view of the world, a better appreciation of the choices available to us, so we can make better, more humane decisions.